Could nature and the future go hand in hand? 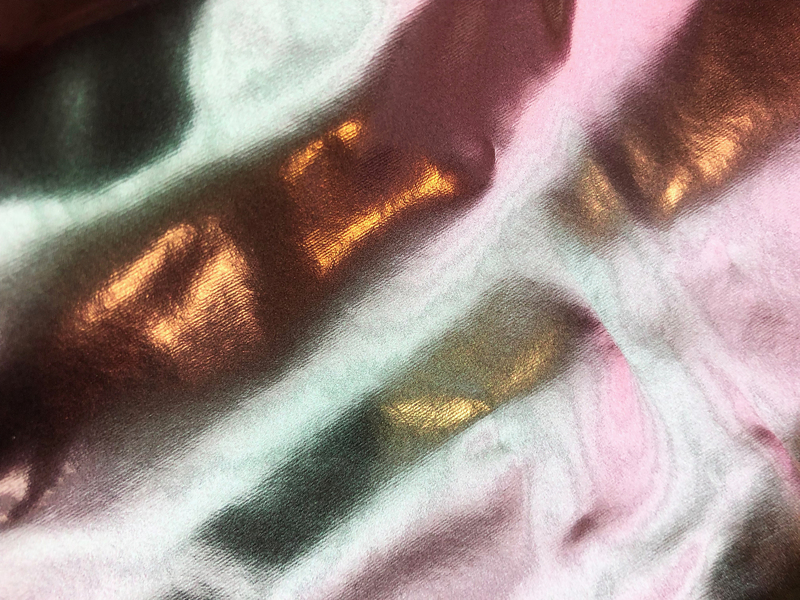 At a time when environmental concerns are becoming increasingly pressing, natural phenomena – and more precisely the Northern Lights – are proving a source of inspiration for textile designers in the creation of technical clothing with accents that are more retro-futuristic than ever. 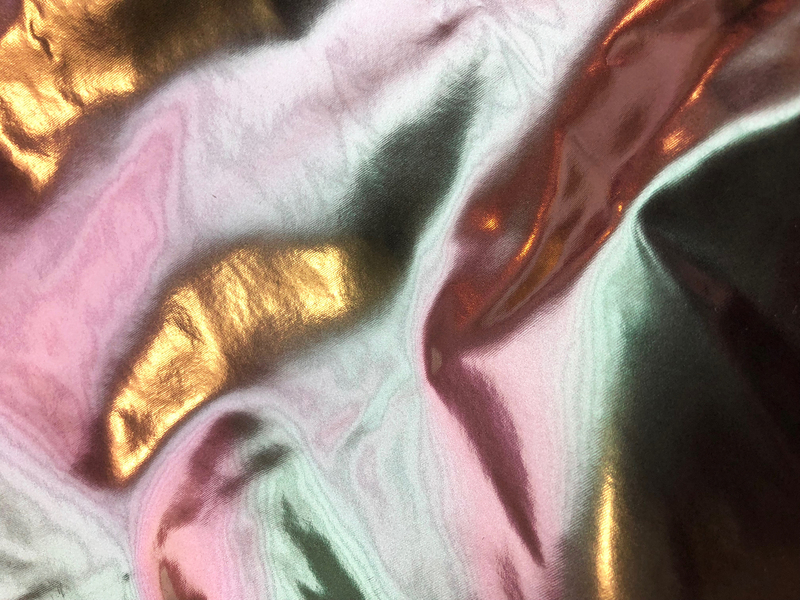 As noted in our LIGHT ENERGY & MOUNTAINEERING multiverse theme from our SS20 Sports Book SS20 Sports Book, the trend is for a metallic gleam with holographic effects, all against a backdrop of dazzling technical characteristics. 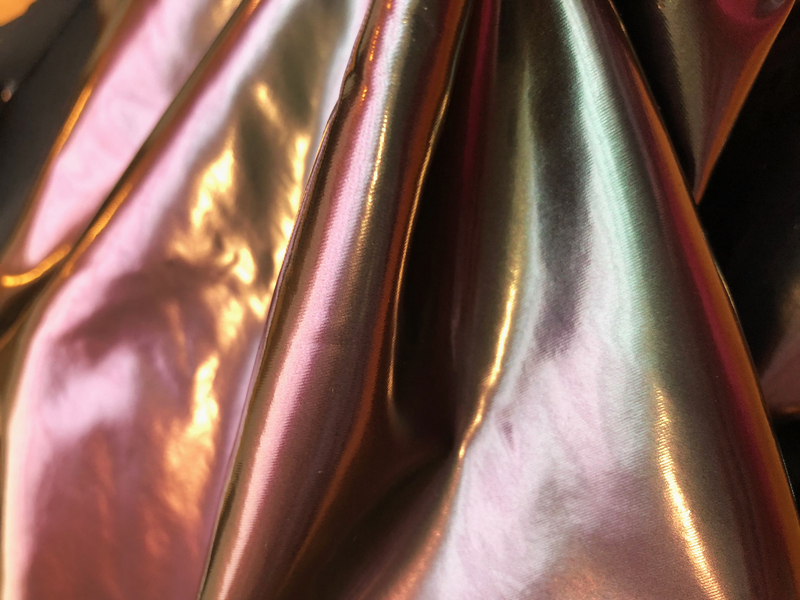 And for good reason: the search for smart clothing now promises the development of flexible photovoltaic cells that can be incorporated into the fabric’s very production. The result? 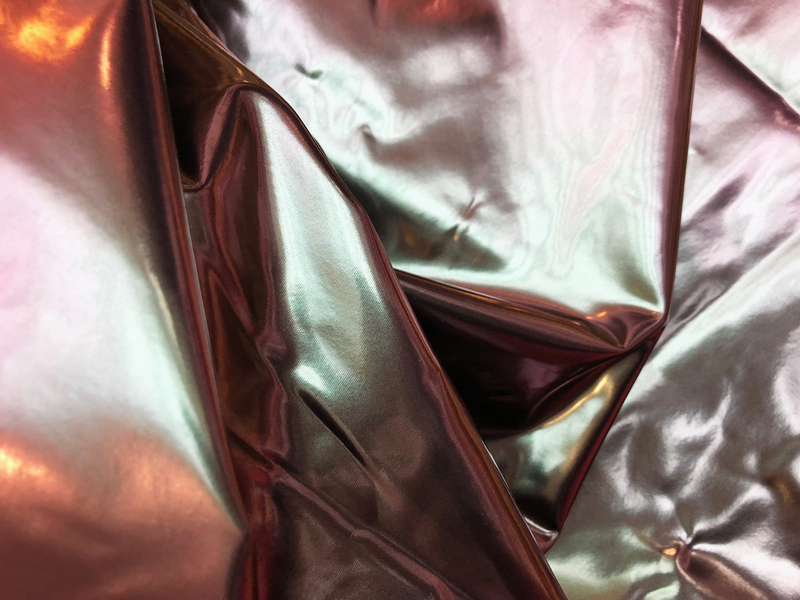 We obtain literally luminous fabrics with irradiating properties, as demonstrated by the two fabrics that we are presenting here. The first was developed by Grande Tex and is made up of 93% polyamide. 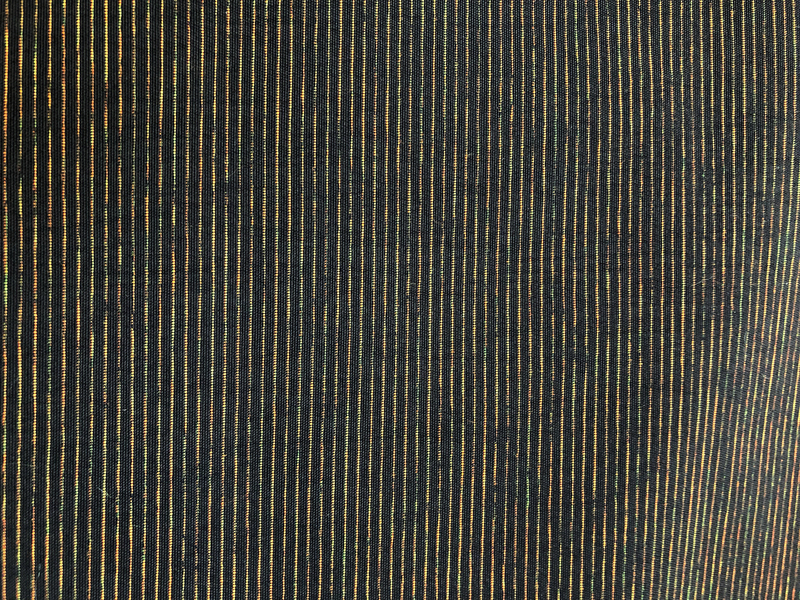 The remaining 7% consists of Neon Yarn allowing the stripes in this laminated fabric to glow in the dark. Also featuring a breathable waterproof membrane, it proves to be the perfect raw material for extreme or outdoor sports clothing. This quality complements the properties of the second product that we wish to mention here. 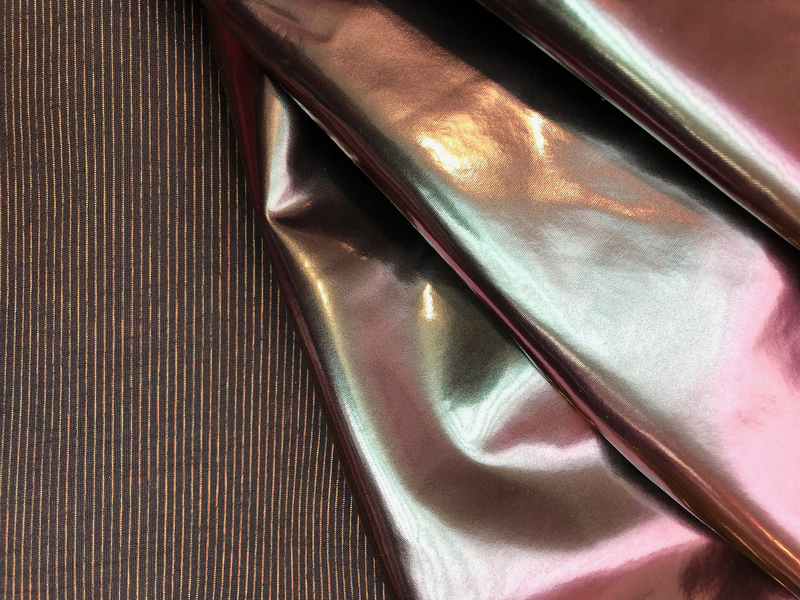 Developed by DK&D Doorim, this fabric has the specific feature of being completely holographic. A highly innovative style direction that unsurprisingly falls in line with the trend launched, among others, by Margiela during the spring/summer 2018 haute couture show. 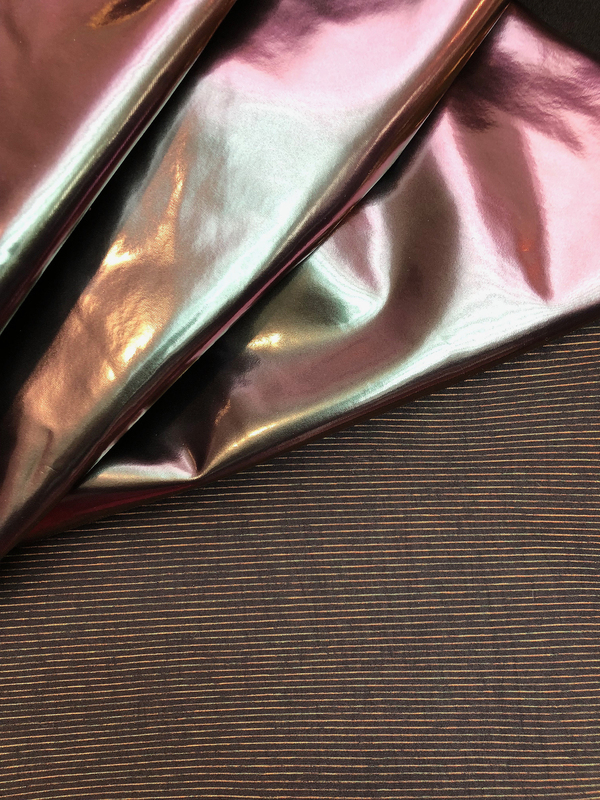 Imbued with retro-futuristic influences, this fabric is made up of elastomeric polyurethane (29%), nylon (56.8%), and elastane (14.2%). A skilful blend that delivers an ultra-shiny result.